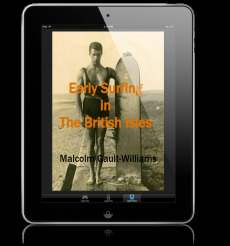 This Portable Document Format (PDF) ebooklet tells the story of the Hot Curl surfers, beginning in the 1930s, going on into the 1950s. 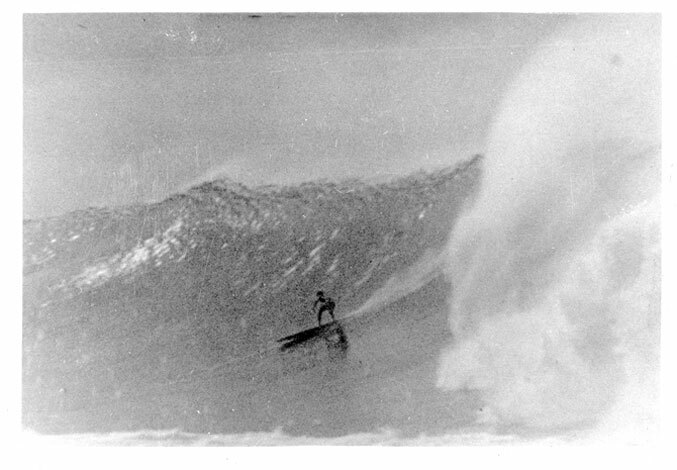 Much of the material is taken from personal interviews with Hot Curl surfers Woody Brown, Wally Froiseth, Fran Heath and Russ Takaki. Some of these interviews were later published, in edited form, in The Surfer’s Journal and Longboard magazines. -- This “ebook” is completely portable on electronic devices, in a format compatible for reading on any ebook reader. Unlike the content on the website, the content in the ebook is not dependent on a connection to the Internet, unless you want to follow the embedded links to more source material. -- The 60 pages (30,252 words, 1.5 MB) contain text, hyperlinks, and two pages of footnotes. Again, to follow the links, you'll need to be connected to the Internet. -- Because the ebook is basically an electronic file, it can be easily shared with friends and family. I have not set any restrictions on its replication as long as normal copyright rules are respected. This ebook makes a great gift from you to other surfers you know who appreciate a more detailed look into the history of surfing and Hotcurls in particular. I sincerely hope you enjoy this chronological history of the Hotcurl surfboard and its most noted riders, originally put together in 2002 under the title "Legends of The Hotcurl".